People have lots of thoughts about being single; some think it’s amazing that they’re by themselves and independent, while others might think it’s a nightmare. Either way, a person needs to eat, and preferably healthy. But it’s so easy to cook at home when you have somewhere to start. Perhaps this article will give you a push from behind. You’ll learn how to cook for yourself! Anything other than omelettes and fries (though there isn’t anything wrong with a really good omelette, for sure). 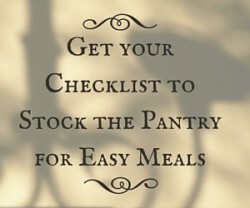 If you make a list before going to the store, you’ll know what to buy from the very start. Put on the list things that you usually eat. Don’t forget to take a look at your schedule and see how many nights you’re going to spend at home. Then buy according to that. Never more, as it will go to waste. Let’s say you have a bag full of groceries. Try to arrange them so that they’ll be easier to get to in the fridge. Put the most often used items together in one part of the fridge, such as milk and chicken. Then put all of the fruits together in one compartment, and the vegetables in another one. Make sure you always know what you’re going to prepare and which ingredients you need – you can also stock the items together by the recipe you’re planning to make. You don’t have to eat something you don’t like. If you love pizza, make your fridge full of pre-made dough, cheese, tomatoes, mushrooms, pepperoni, chicken and anything else you want on your pizza. Learn how to take advantage of the fact that you’re single; now you don’t have to consider what someone else would like to eat, but can make what you want and have as much as you’d like. Also, take advantage of the opportunity to make portions for two or four, even if it’s just you. Make a dish on Sunday or Monday, then use the leftovers to do other dishes for the rest of the week. Don’t let leftovers go to waste. Especially when you’re single, the tendency is to simply eat what you have in the fridge. So fill it with healthy food. Make a salad or roast some vegetables and have them with pasta or brown rice. Eat chopped greens with your usual sandwiches. Add some fish to your meals for the week, as it is one of the advisable things to eat when you want to eat healthily. At Mercato, you’ll get the best grocery delivery service for fresh and healthy food.